SBI Life is a life insurance company promoted by India’s largest lender State Bank of India (SBI), which owns about 70% stake in the company. The company has a strong presence throughout the country, and it has a wide customer base. The company continues to remain one of the dominant players in the industry with its diverse range of insurance products. The life insurance covers offered by the insurer allow individuals to get protection while also achieving their investment goals. If you are not sure about how much to invest every year to achieve your desired goal, the premium calculators available in the company’s official website can help you reach the right decision. Life insurance premium calculators are offered by all life insurance companies in the market. The main purpose of these calculators is to make it easy for customers to calculate the price their insurance covers. Moreover, life insurance plans like ULIPs and endowment covers are investment-oriented. Before buying these plans, customers would like to know how much they can generate in returns following their maturity. Premium calculators will provide a clear picture of this information and help customers choose the right product that meets their requirements. On the homepage, find the quick link to ‘Tools & Calculators’. When a new page opens, you will find the list of tools and calculators offered by the company. You can choose the calculator based on the specific plan in which you wish to invest. For instance, if you are investing in a child plan, click on the child education planner. On the resulting page, enter your name, age, child’s name, age, the desired profession of your child, age at maturity, required maturity amount, existing savings, etc. Once you have entered these details, you can calculate how much money you need for your child’s education in the future. Once you have determined the desired maturity amount, go to the specific plan in which you wish to invest. Here, you must enter various details like policy term, premium paying term, premium payment frequency, name, date of birth, etc. This will help you know how much you have to save every year to achieve the desired target. Customers can save a lot of time when they use the tools and calculators offered by SBI Life. Since the premium calculation is done instantly, customers don’t have to wait to get quotes from the company. Life insurance investments vary a lot based on the invested amount. Customers can get the right information on how much they can earn if they invest in a particular product. This will help them plan their finance effectively. When comparing products, customers can use premium calculators to see the advantages offered by different plans. They can compare plans based on these advantages and choose the right product that matches their needs. Consumers can improve their overall knowledge about insurance products with the help of premium calculators. Calculating the premium of a life insurance plan is one of the first steps involved in buying a policy. Most customers wish to know their returns when they research about buying a life insurance plan. 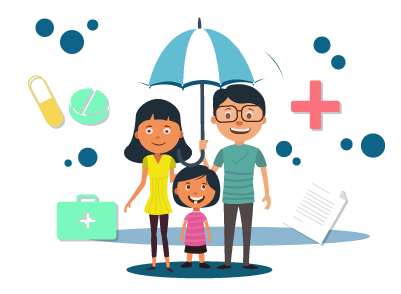 The life insurance premium calculators offered by SBI Life can help customers arrive at the right decision by guiding them with their investment plans. In addition to premium calculators, SBI Life also offers an array of other tools like Human Life Value Calculator, Future Cost Planner, Marriage Financial Planner, Health Tax Saving Calculator, etc.